Thanks to the participation of Dr. Farshid Fateri, this mission targeted urological cases between the 4th and the 14th October. 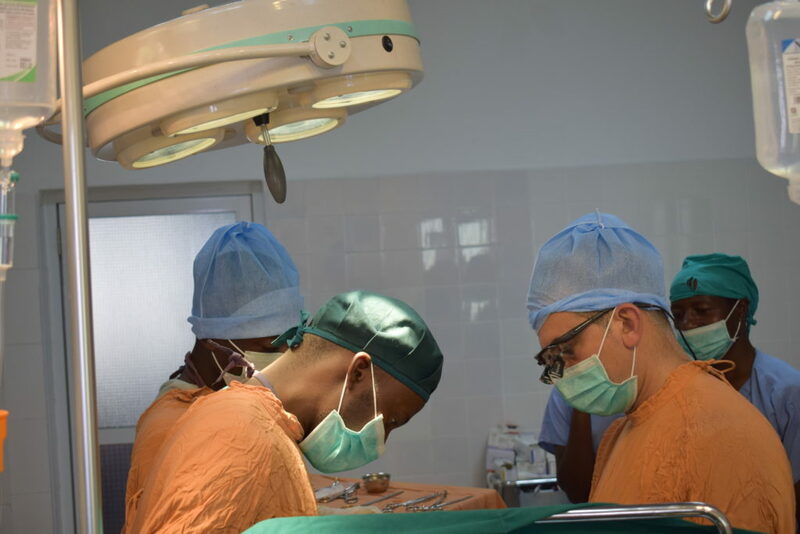 Such a visit had been long awaited by the local surgeon, Gideon Kurigamba, who had made his original request during our mission in May 2013 and again during his stay in Fribourg in January 2016, a visit which had been organized by Dr. Konstantinos Nassiopoulos. About thirty operations were carried out, including urethroplasties, cystoscopies, resections and prostate biopsies. Many patients were helped by the permanent removal of their urinary catheter, inserted via the urethra or , in difficult cases, via a cystostomy. A 15 year old boy was included in the programme – his urethra had been trapped in a bony callus, formed after a traumatic fracture of his pelvis. The dream of Gideon is to be able to carry out endoscopic resection surgery (TURP) which is less invasive for the patient but much more delicate for the surgeon. At this moment in time the equipment necessary for this type of surgery is not available. It is one of the objectives we should consider for the future. There also remains the question of the organisation of the operating theatre block. As has been repeated time and time again during previous missions, the person currently responsible is not competent in this function. Currently, making a change appears to be an almost insurmountable task. 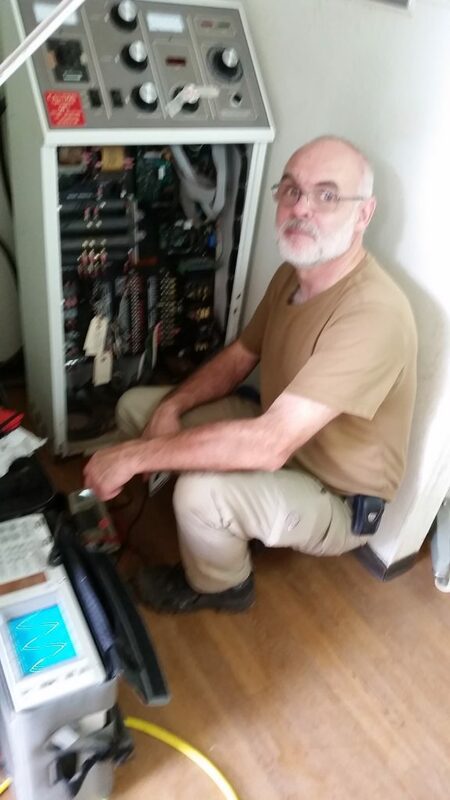 Philippe Besson accompanied us once again, with the objective of making the radiology machine fully operational. Now it is in perfect working order, we can finally mobilise the X-ray tube which was blocked , enabling to fully use the machine, and the fluoroscopy works perfectly. Two ultrasound machines were also repaired, one, the GE Logiq9 needed a new hard drive and the other, the mobile Philips echograph, needed a new probe. Both machines had been simply put to one side and no one had brought their inoperability to our attention. 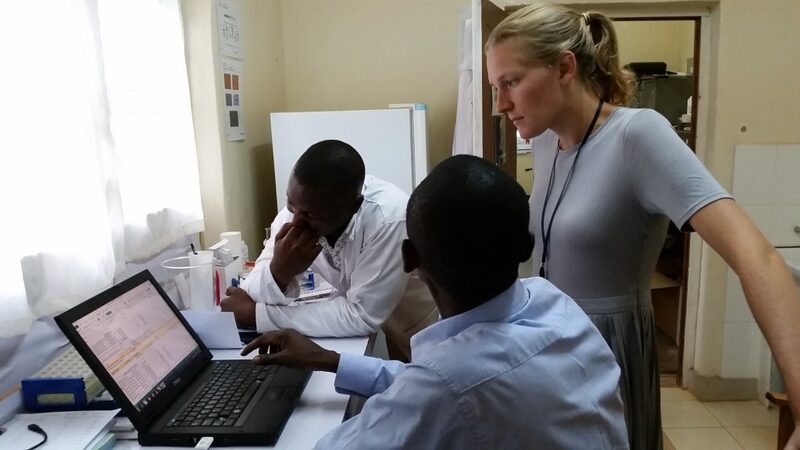 With the objective of determining the feasibility of carrying out microbiology at Bwindi hospital, the English internist onsite, currently Hilary Graffy, the head of the laboratory, Gideon Isabyria, and I drove to the hospital in Kisiizi, three hours away. This hospital is supported by English hospitals and serves a population somewhat less poor than Bwindi. Their laboratory is better equipped and is equipped to do cultures. The utility of this service is self evident as it enables the detection of bacteria resistant to the usual antibiotics. Unfortunately, the profitability from microbiology is low if not zero. 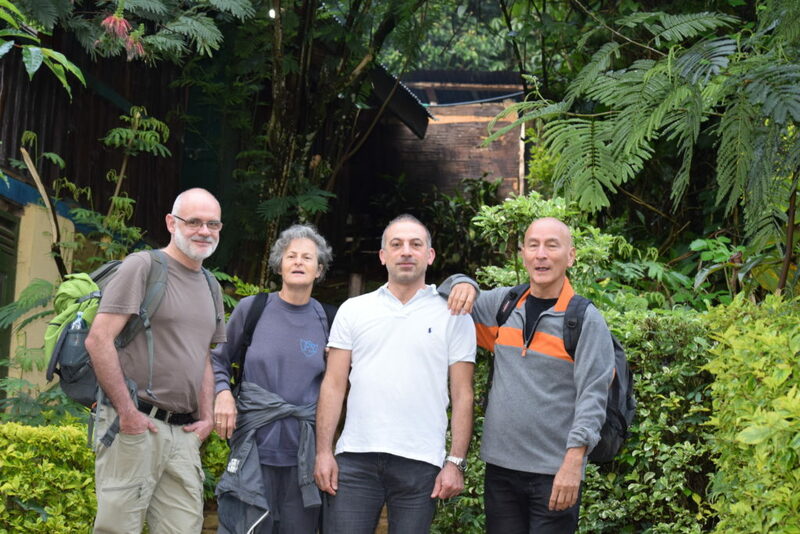 Can we take advantage of their experience and find a way to offer this service in Bwindi? This mission gave us the opportunity to participate in the inauguration of the newly renovated and expanded operating theatre block. 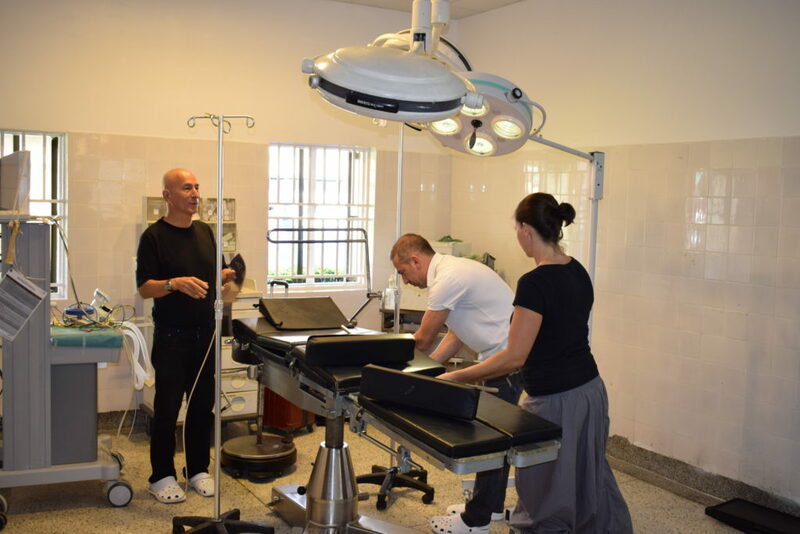 We did the first urological operation on October 5th in a theatre not yet completely finished. A big celebration was organized on October 13th in the presence of the entire staff and administration of the hospital. 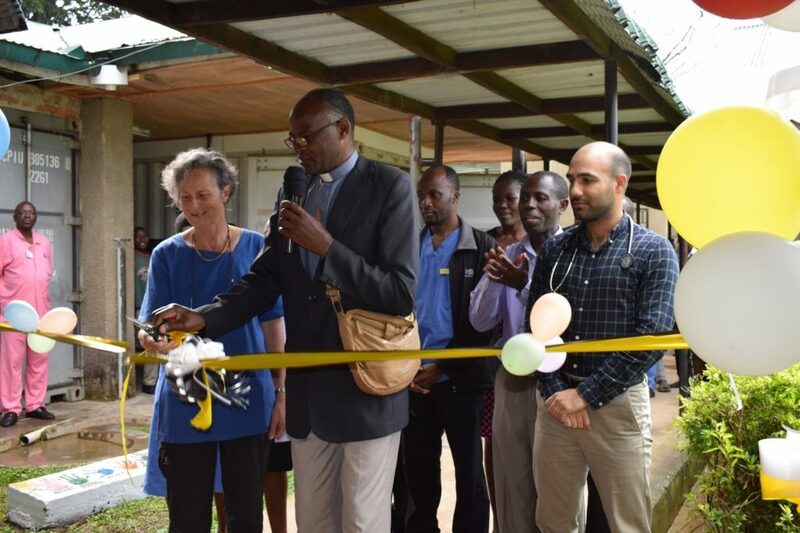 Notably present was the reverend Dan Zorcka, the bishop of the province and president of the board of directors of Bwindi hospital (see the article and the pictures on our website). And once again we were off … with the aim of organizing a new mission in March 2018.